This month is apparently Bullying Prevention Month and I just need to put my two cents out there. Bullying Prevention Month reminds me all of these other awareness months in the sense that sometimes, it’s just window dressing. For the most part, schools and parents talk about bullying the way we talk about world hunger — we pay it lip service and don’t actually do anything about it..
Back in 1986, when this happened, there was a lot homophobia as well as hysteria about AIDS.. Having known I was heterosexual because I had a crush on a girl named Heidi in kindergarten, something like that wasn’t going to bother me, so I just sat there and didn’t respond, but what really hurt me was that there were two girls on that bus who apparently were friends of that group and who didn’t speak out in my defense. Why should I be upset by that? Well, it was because I went to that parochial day school with those girls and graduated with one of them, and our parents were even good friends. When that girl didn’t speak up for me, I realized for the first time in my life that even people who you think are your friends won’t always come to your defense, and you have to expect to do it for yourself. Now that bullying episode was pretty much nipped in the bud because a majority of those kids didn’t attend school on Halloween because there were rumors that freshman were going to be jumped. I attended school that day and then cracked some jokes at their expense a few days later and I was never bothered again. To add a post note to it. 2 of those 3 kids are friends of mine on Facebook and we have never talked about what happened 30 years ago. It’s easy for me to tell kids that the way to deal with bullies at school is to stand up to them, but I grew up in a time before social media. The social media weapons that bullies use today can inflict far greater harm than what bullies could do in 1986. Kids today can’t stand up to the followers and readers of social media posts especially when they may not be even aware of the posts in the first place. Some schools are very pro-active when it comes to addressing bullying but most aren’t active enough. When my son was being bullied at recess by a few schoolmates, he was lucky that his principal personally observed the bullying and swiftly and decisively addressed it. The bullying ended, but only one student actually apologized by letter; another student was the son of a woman who I had been friendly with, and she never even tried to address the incident with me even though the principal informed her about her son’s involvement. Now, my son was fortunate to have a school principal with zero tolerance for bullying, but other schools just pay lip service to bullying. Thanks to State reporting requirements for incidents of bullying at school, principals can’t pretend it doesn’t exist. All they try to do now is avoid calling these kinds of incidents what they really are, and attempt to convince parents that nothing really happened. Speaking of parents, one thing that is never discussed about bullying is about parents who bully. I always say if you want to know where a bully comes from, look at the parents. My kids have met some wonderful kids who became friends and they all seem to come from good, solid families whose parents are friendly and kind. As far as the kids who are bullies, I’ve found them to usually come from parents who bully others on Facebook and at school functions. Many parents involved in the PTA are parents of bullies and I think many are involved in the PTA because they use that avenue to bully other parents and as a means of protecting their kids from punishment for bullying. 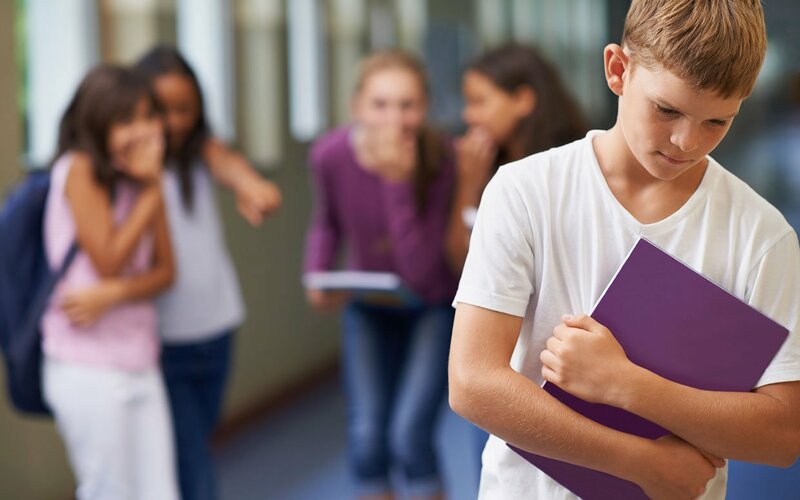 They often believe that if they are friendly with the school’s administration, their kids will get more favorable treatment, especially if they are caught bullying other kids. These parent bullies often exclaim “not my child” when their children are accused of bullying. Too many parents believe that their children can do no wrong. When my son gets called out on his bad behavior in class, I don’t pretend that he is infallible. Instead, I tell my son that his behavior is wrong and that it won’t be tolerated. If I pretend my son is an angel and can do wrong, then he’s never going to improve his behavior. The fault with bullying lies with parents who either teach their children how to bully, or who refuse to accept that their children are actually bullying others. A perfect example of this situation is what happened at the synagogue I left last Spring. There were two kids who had been bullying others for years. Some of the victims of the bullying actually left the Hebrew school after they complained to the principal and the principal did nothing about it. The reason no action was taken against the bullies was that their father was a former president of the synagogue, and their mother was the chairperson of the Hebrew school’s board of education. Both parents believed that their children never did anything wrong, and no one at the synagogue was willing to challenge that belief. A congregant who tried to implement an anti-bullying was herself bullied by the bullies’ parents. In that case, the parents were bullies, and their children learned from their parents how to bully others. You can only imagine the bullying that must go on in the local schools when you see some of the nonsense that is posted in these Facebook community groups. I’ve stopped commenting in these groups because it’s just bullying non-stop when someone takes issue with something that someone else commented about. It’s gotten to the point that some of the biggest bullies have changed their Facebook names because they don’t want any issues with regards to their position in the PTA or in their positions of employment. It’s nice to have a month in honor of bullying prevention, but it means nothing if we just use it to pay lip service and let the bullying continue.